As one of the most established personal injury legal firms in Brampton, Burlington, and Mississauga, MPC Law has successfully argued cases and achieved tens of millions of dollars in settlements for our clients. If you or a loved one has sustained injuries in an accident, you could be entitled to compensation. Most personal injury cases are very complex. Consequently, seeking compensation on your own without the assistance of an experienced and knowledgeable personal injury lawyer can be difficult at best. No matter what type of accident you’ve been involved in, getting injured is a physically and emotionally traumatizing experience. In many instances, the victim is able to heal quickly from their injuries and regain the quality of life that they were enjoying prior to their accident. However, in the more serious cases where the victim has sustained catastrophic injuries and can no longer provide for their family, it could be financially devastating for all those concerned. WE have the determination, resources, and skills required to represent you and your case and get you the compensation you deserve. WE hire investigative specialists to thoroughly examine the circumstances surrounding your accident. WE will advise you of the benefits and compensation you’re entitled to because your insurance company won’t in most cases. WE will work hard to get you the compensation and settlement you are deserving of no matter what it takes. While over 90% of our personal injury cases have been settled out of court, we are prepared to take your case in front of a judge and jury. WE work with you and your doctors, other healthcare providers, and treatment team to ensure that you receive necessary and reasonable medical care up to and including rehabilitative services and attendant care if required. If you live in Brampton, Burlington, or Mississauga but are unable to come in for an appointment, the personal injury lawyers of MPC Law will come to you whether you are recovering at home or are still in the hospital. We operate on a contingency fee basis meaning that you won’t be charged a fee for our initial meeting nor will you be charged if we fail to win your case. Rest assured, unlike your insurance company, we’ll always have your best interests in mind. As your legal representative, you’ll be confident and have peace of mind knowing that MPC Law is in your corner. Your case will be in the hands or personal injury experts that have over 75 years of combined experience in Ontario personal injury law. 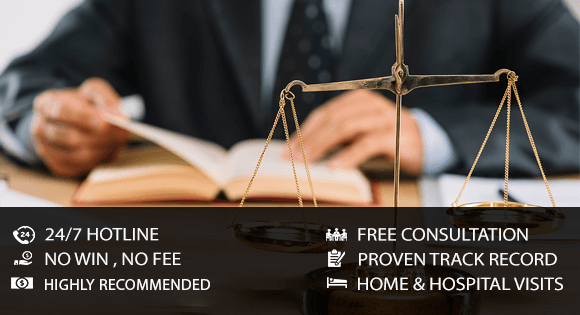 For additional information regarding legal representation in Brampton, Burlington, and Mississauga, contact our office and schedule a FREE consultation today.